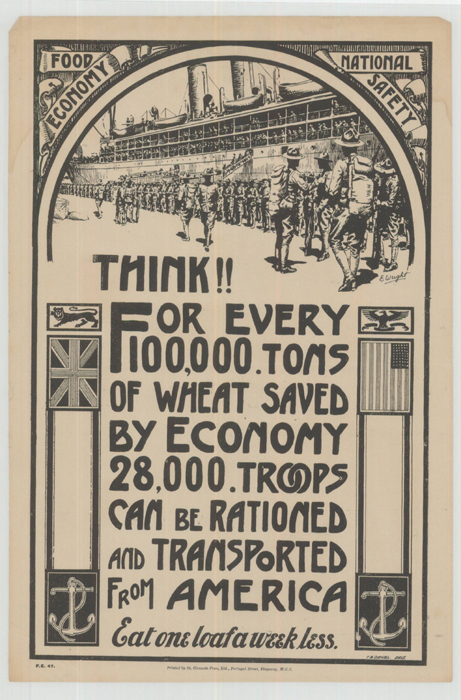 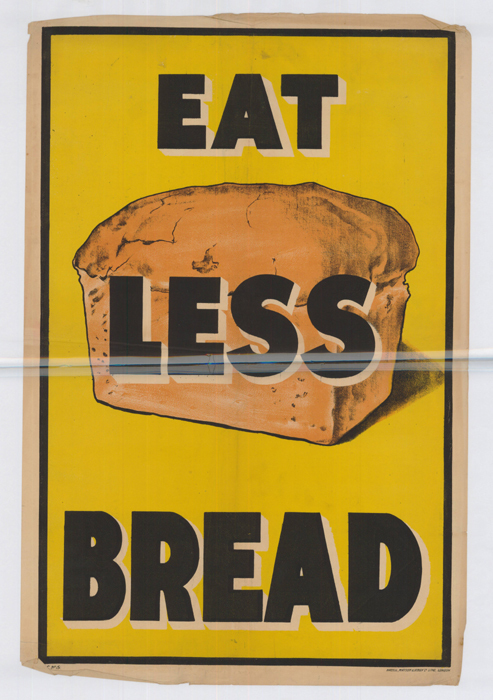 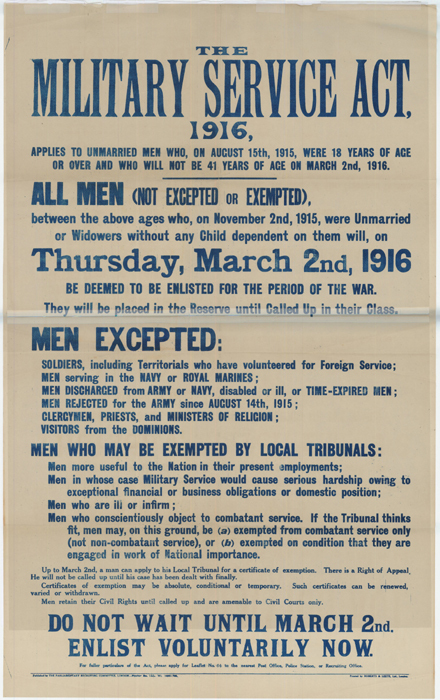 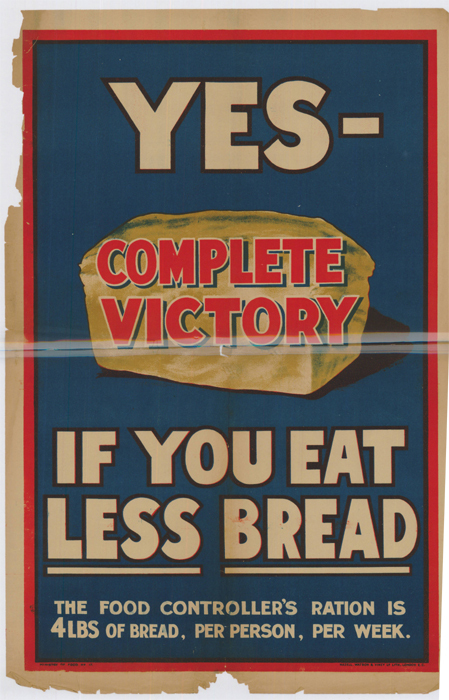 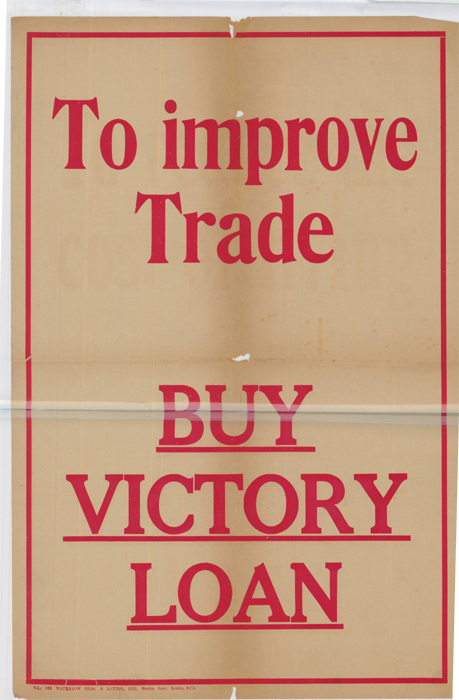 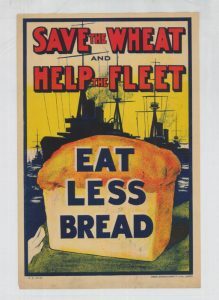 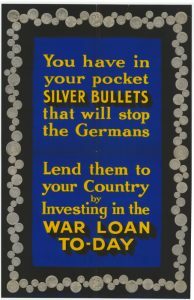 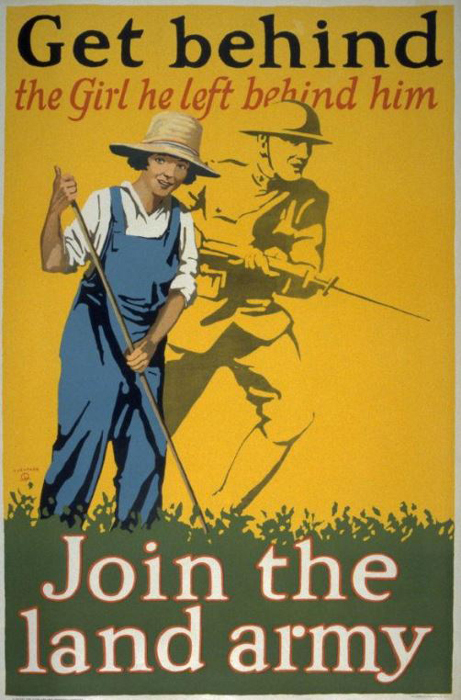 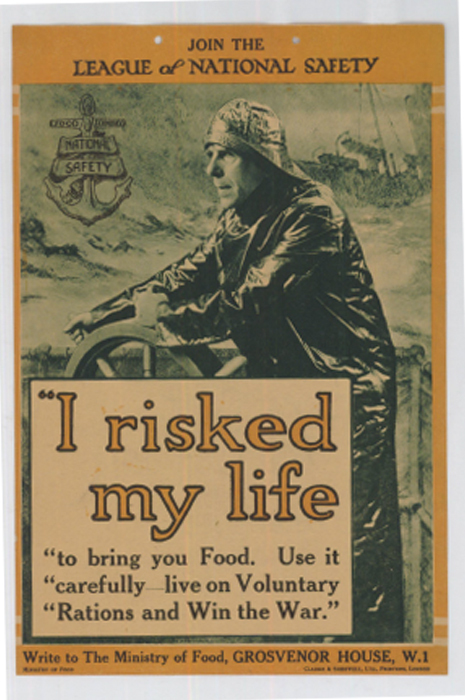 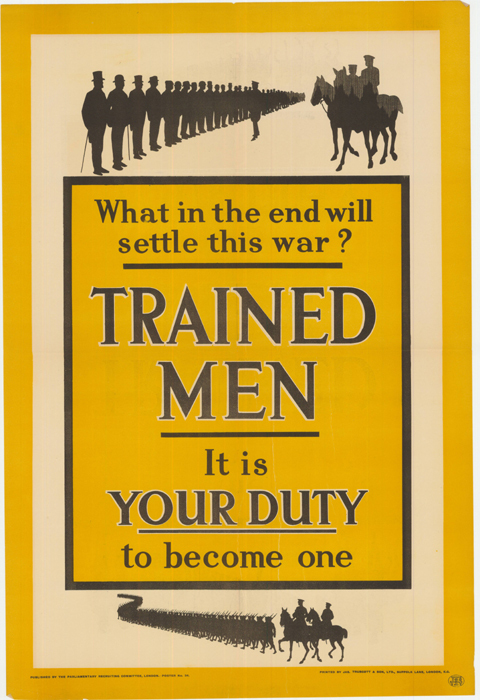 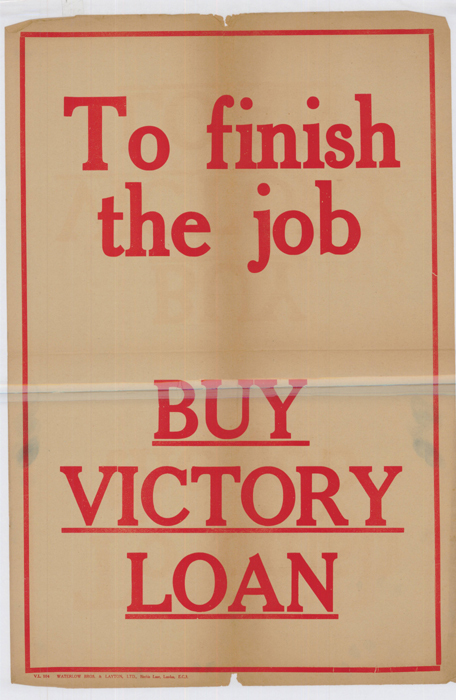 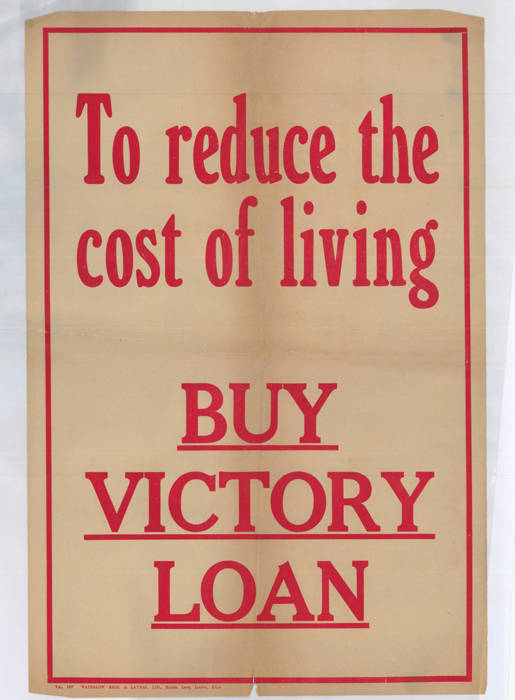 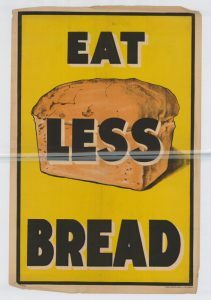 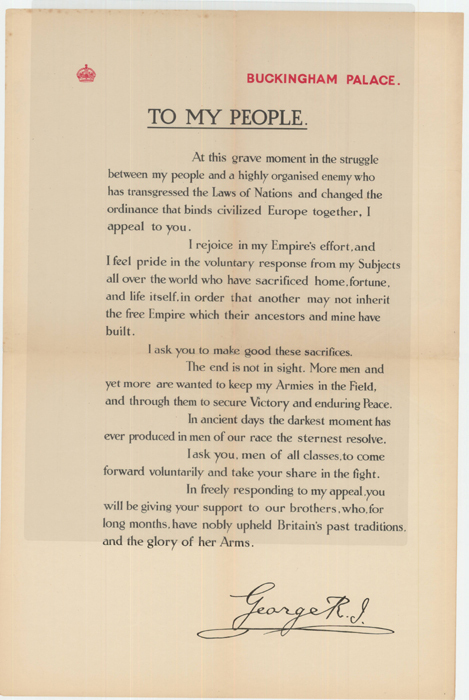 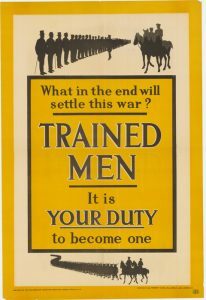 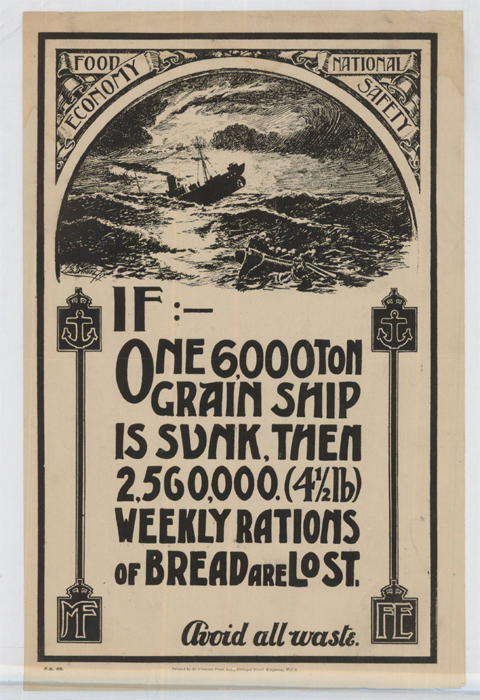 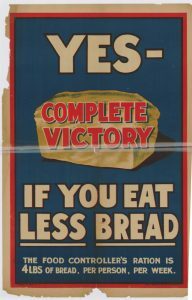 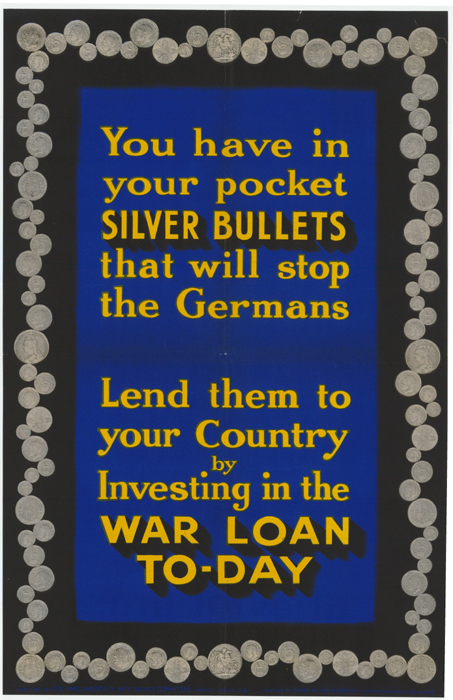 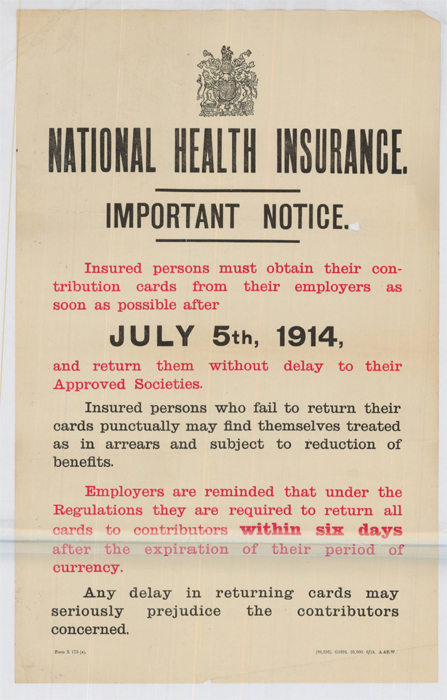 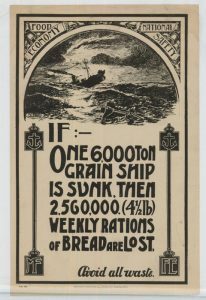 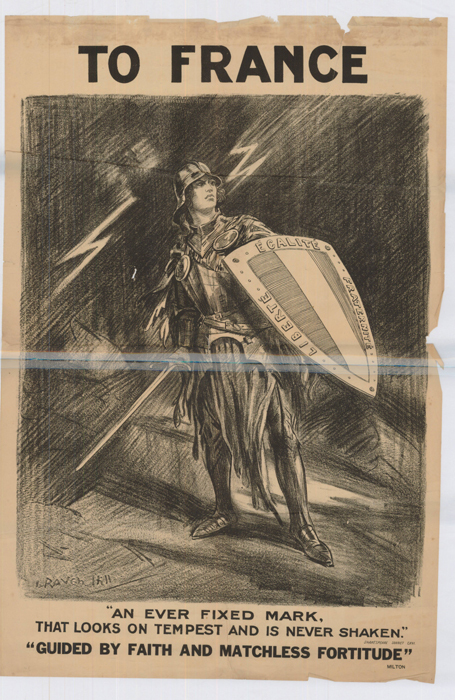 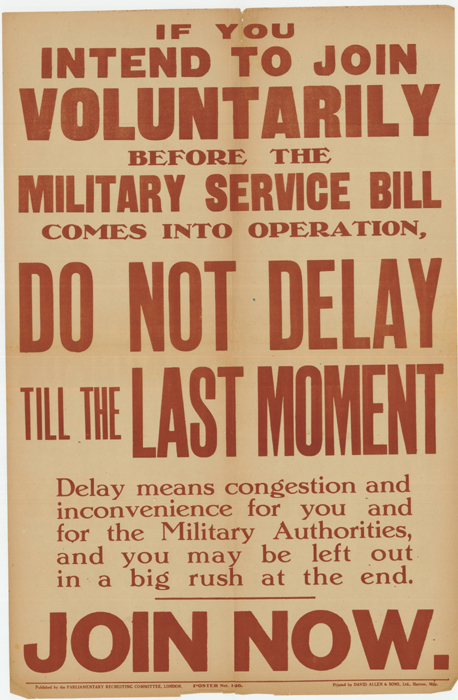 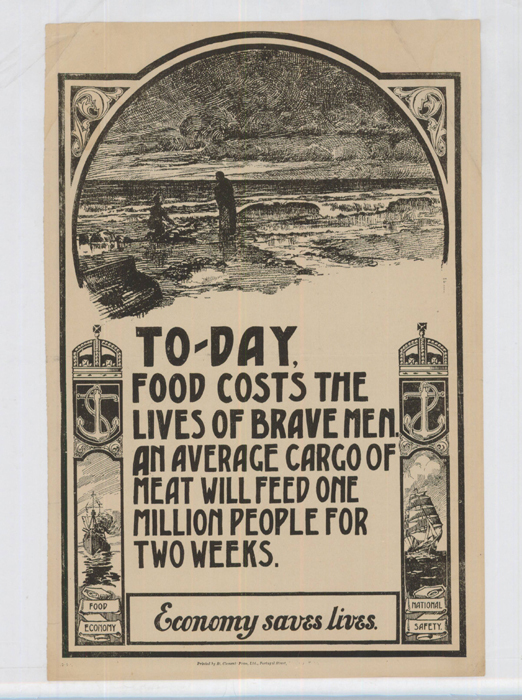 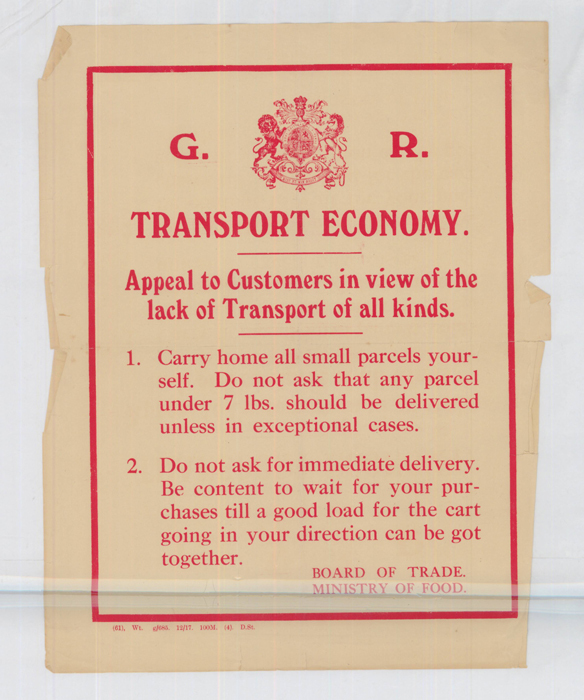 During the First World War, posters were used to transmit information directly to the population. 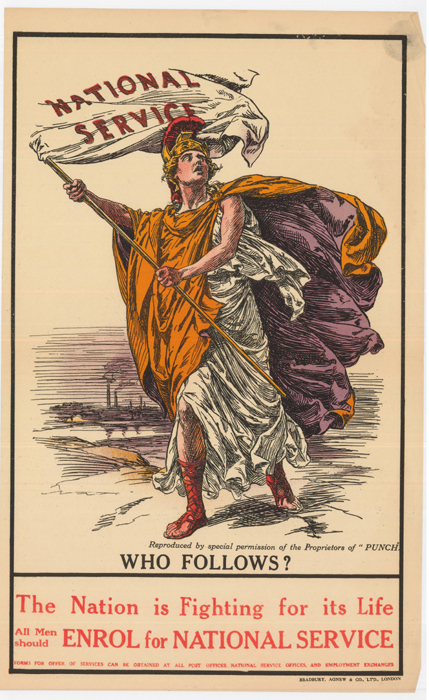 Following the outbreak of war in 1914, the conflict rapidly grew to be the dominant issue in British society. 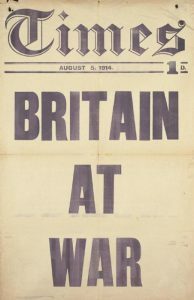 This move towards what is sometimes known as a ‘Total War‘ meant that the Government and the public began to interact with each other in new and different ways. 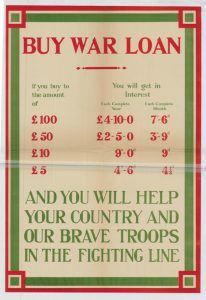 Whilst both national and local newspapers were available throughout the conflict, civilian radio channels were suspended for the duration of the war, cinema was still in its infancy and television did not yet exist. 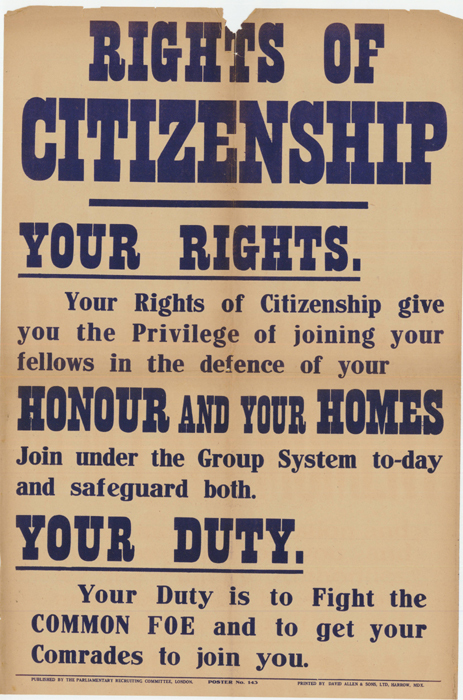 This influenced how information could be transmitted from the Government to the people. 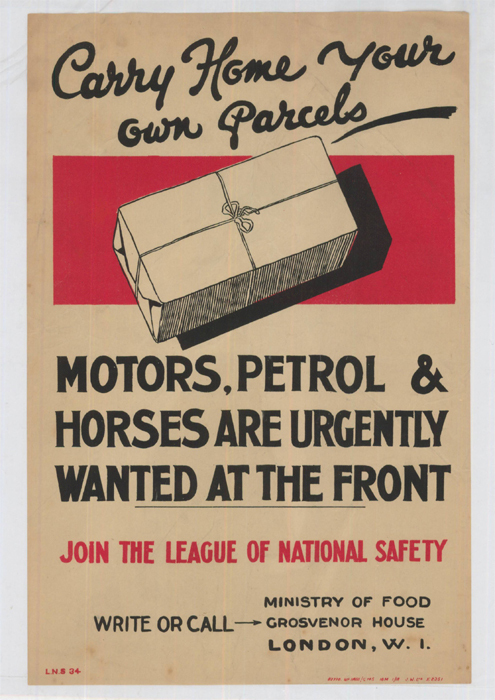 Posters and visual displays were an expedient way of ensuring that specific messages could be spread quickly. 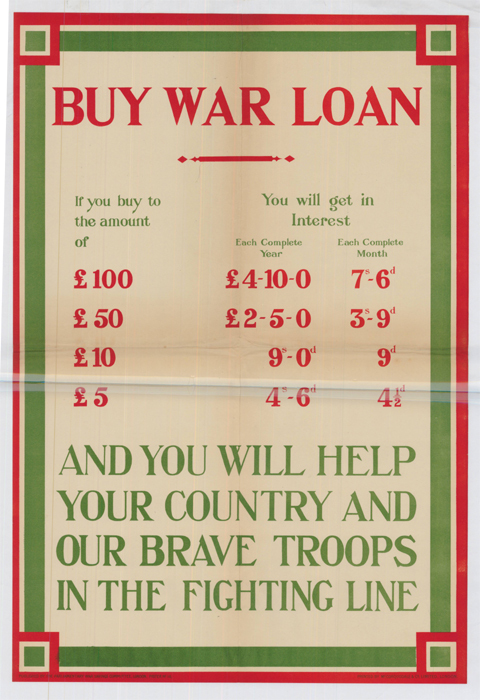 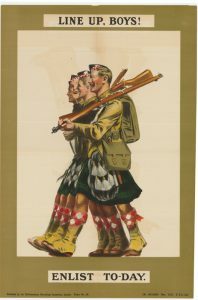 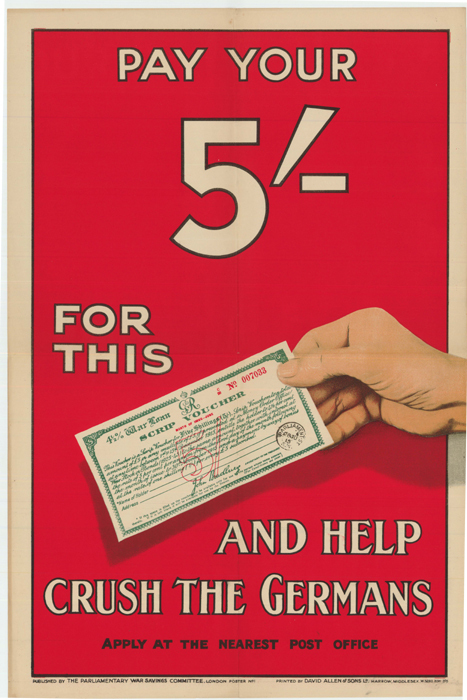 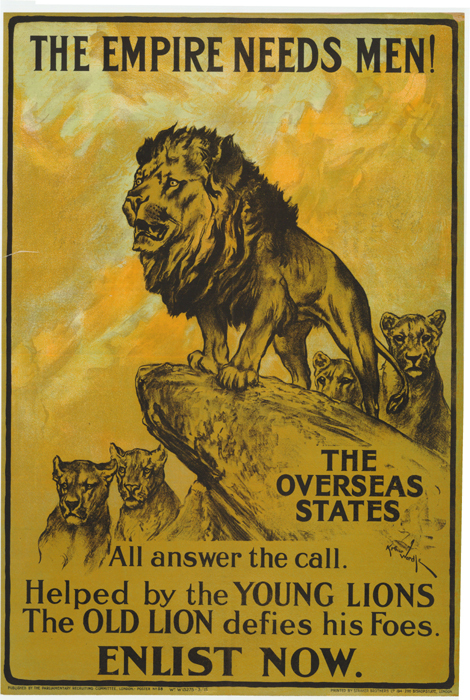 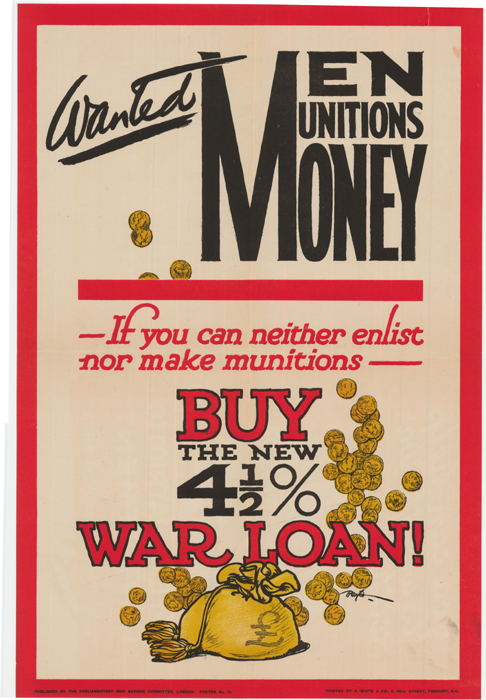 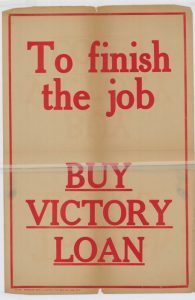 During the early years of the war, poster design and distribution in Britain was organised by the War Propaganda Bureau run out of Wellington House in London. 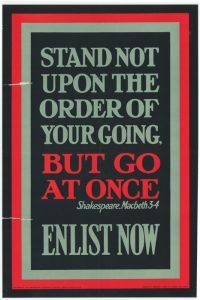 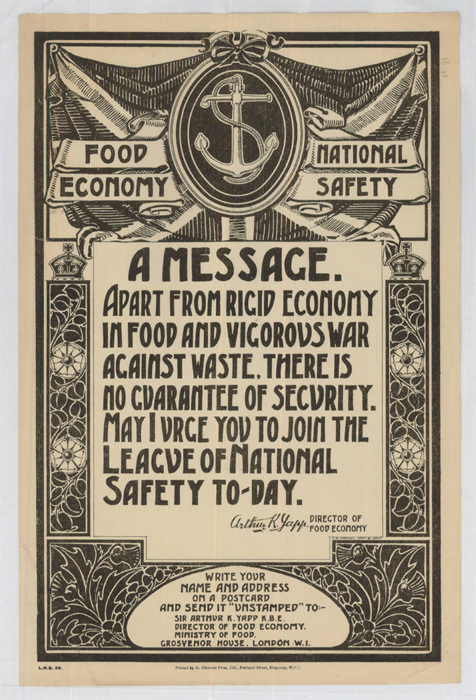 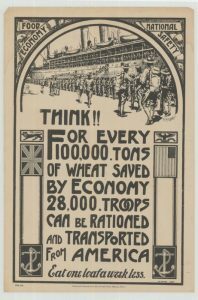 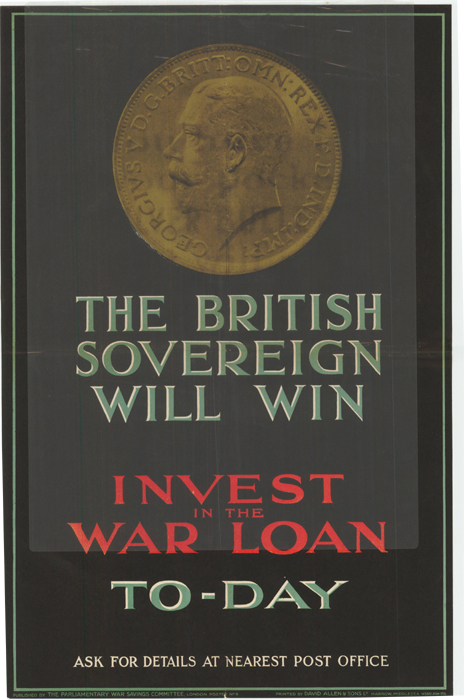 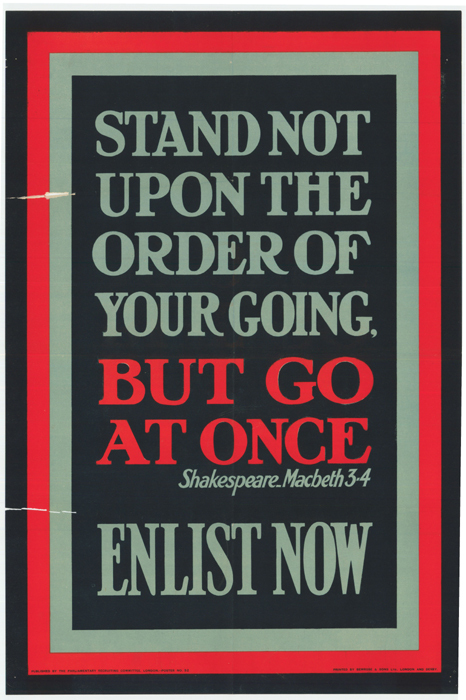 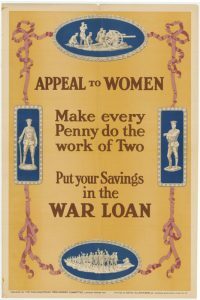 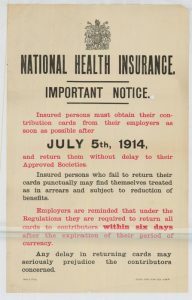 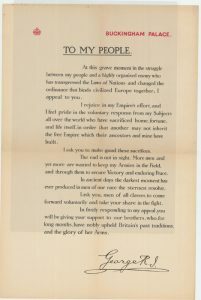 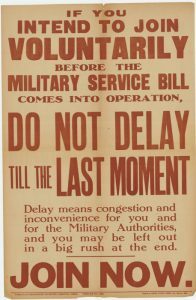 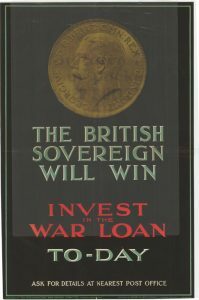 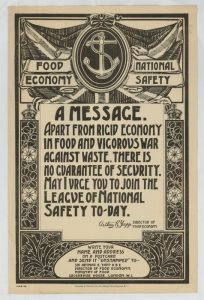 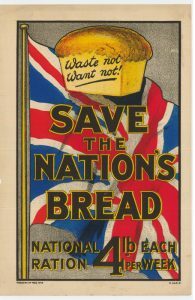 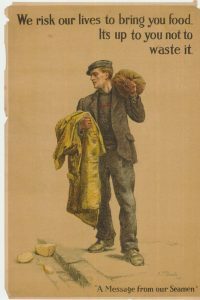 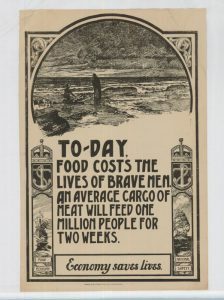 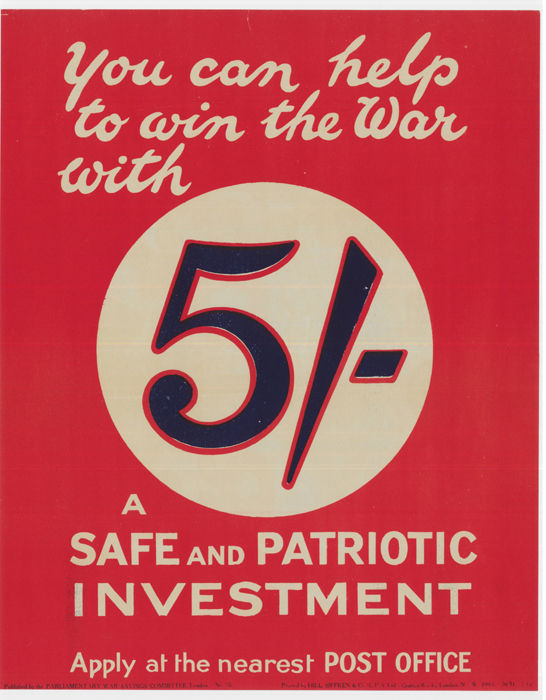 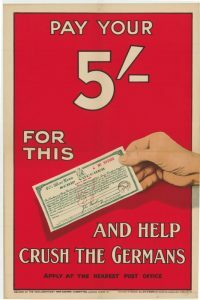 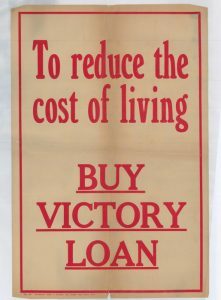 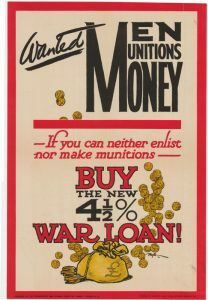 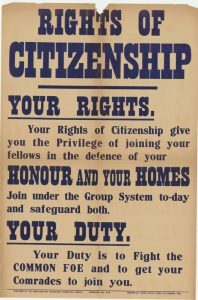 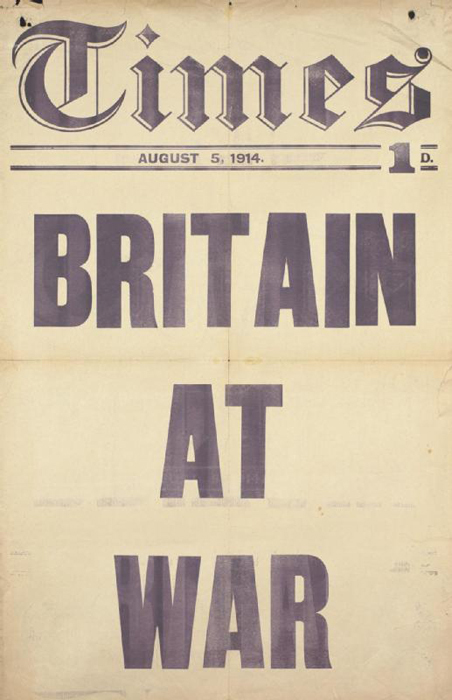 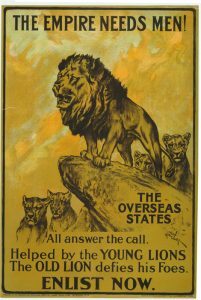 Many of the designs and content of the posters produced during this period were decided internally without oversight from the British Parliament. 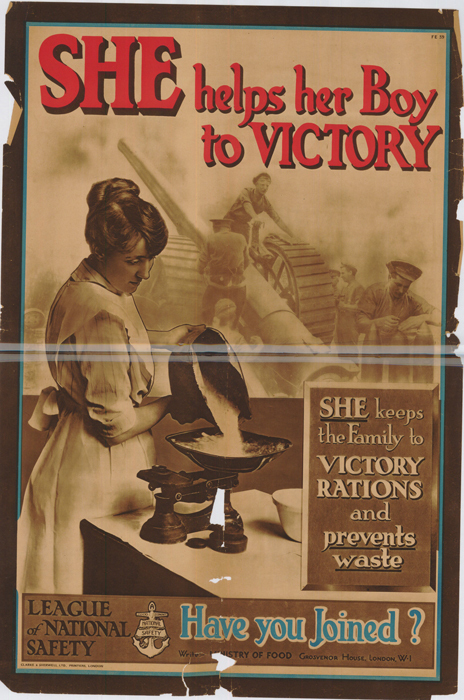 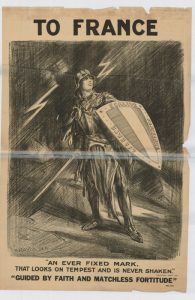 From 1916 onward, the production of posters and propaganda was centralised through the Government and, by 1918, were run primarily by the Ministry for Information. 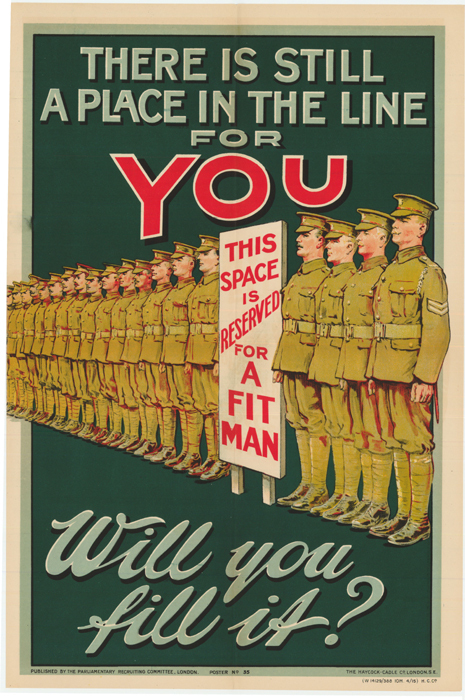 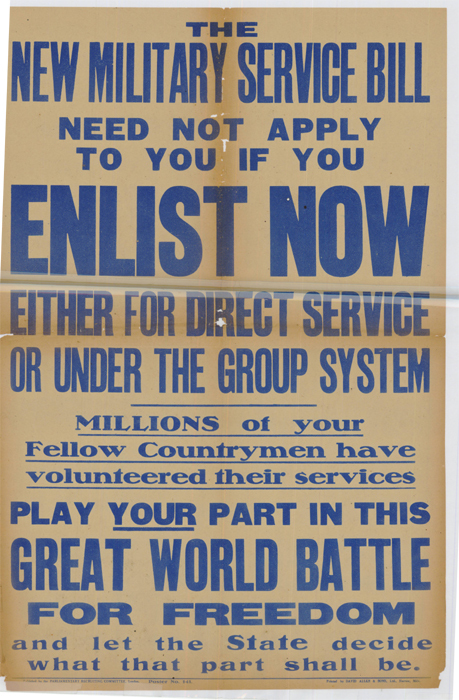 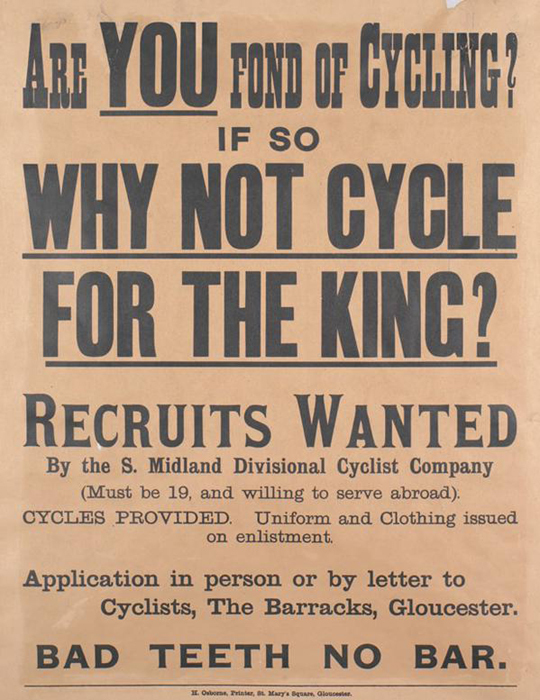 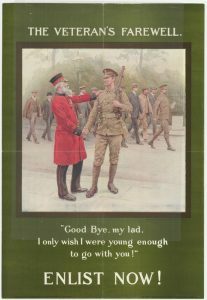 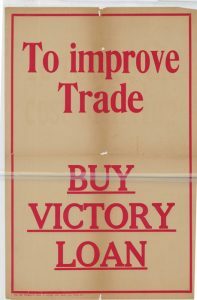 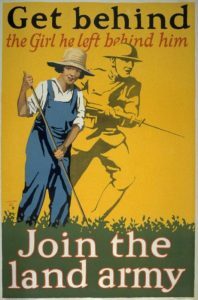 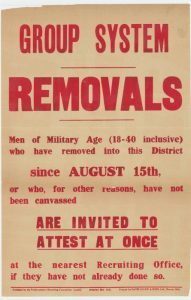 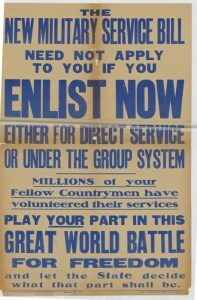 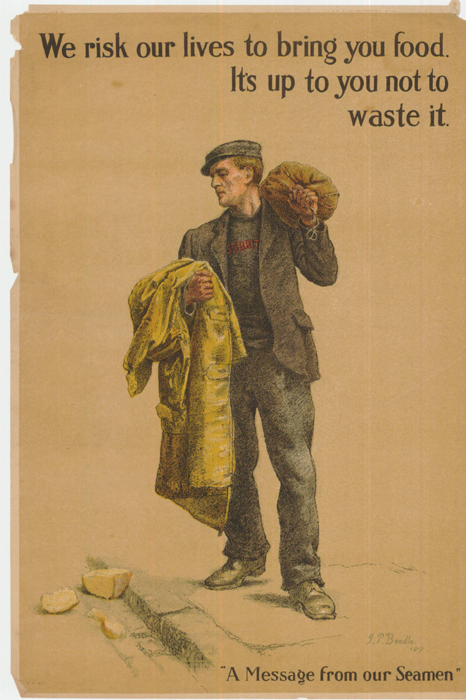 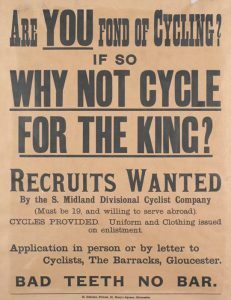 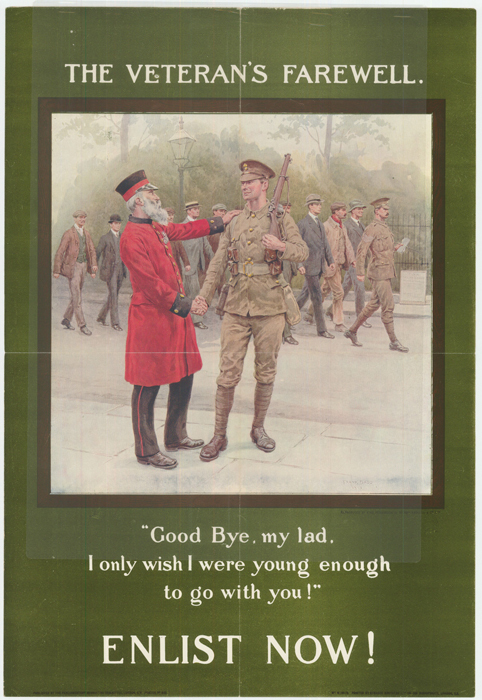 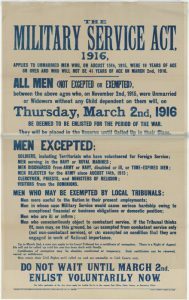 The East Sussex WW1 Project, has been temporarily loaned some original propaganda and recruitment posters, found in the archives of East Sussex Libraries. After digitising these posters to ensure they are preserved, we are now able to offer them online for viewing and download. 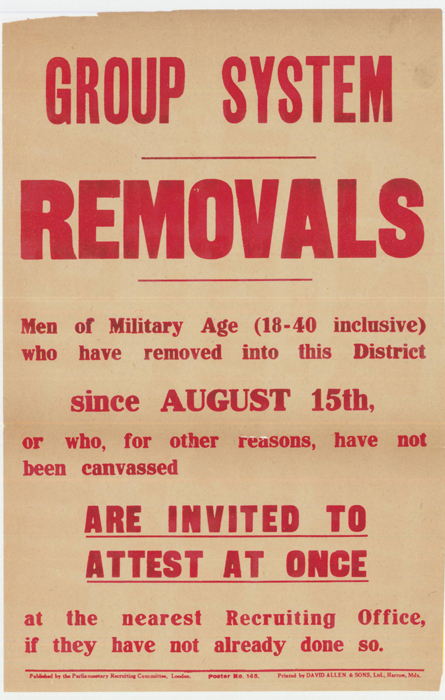 These posters are extremely old, and fragile in some cases, and that is reflected in some of their appearance. 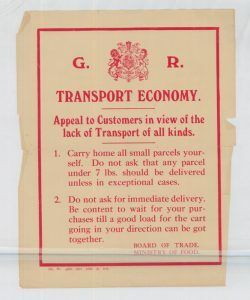 However, despite some tears and general ageing, they are still in excellent and legible condition. 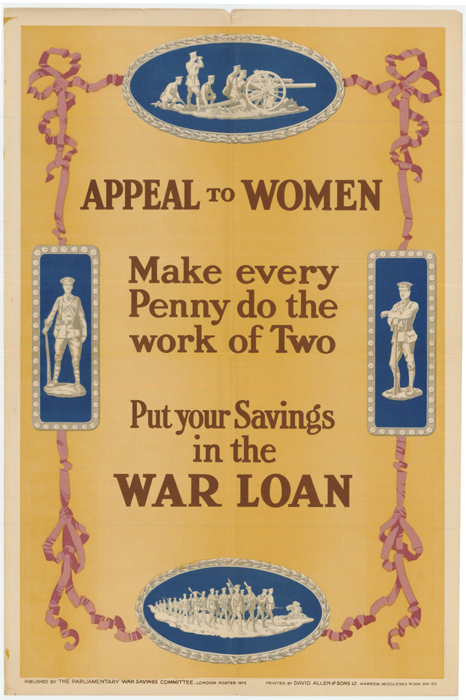 These posters pay testament to the public discussions and debates going on within Britain during the First World War, and we are delighted to host them here for viewing. 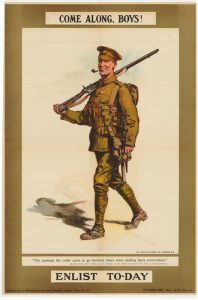 In addition to the posters we have available here, Royal Pavilion & Museums, Brighton and Hove also have a collection of First World War posters and other First World War visual material available for downloading.